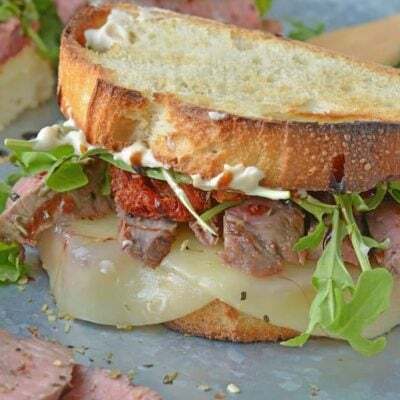 Sponsored Post: This post is sponsored by Joan of Arc Cheese® but the content and opinions expressed here are my own. 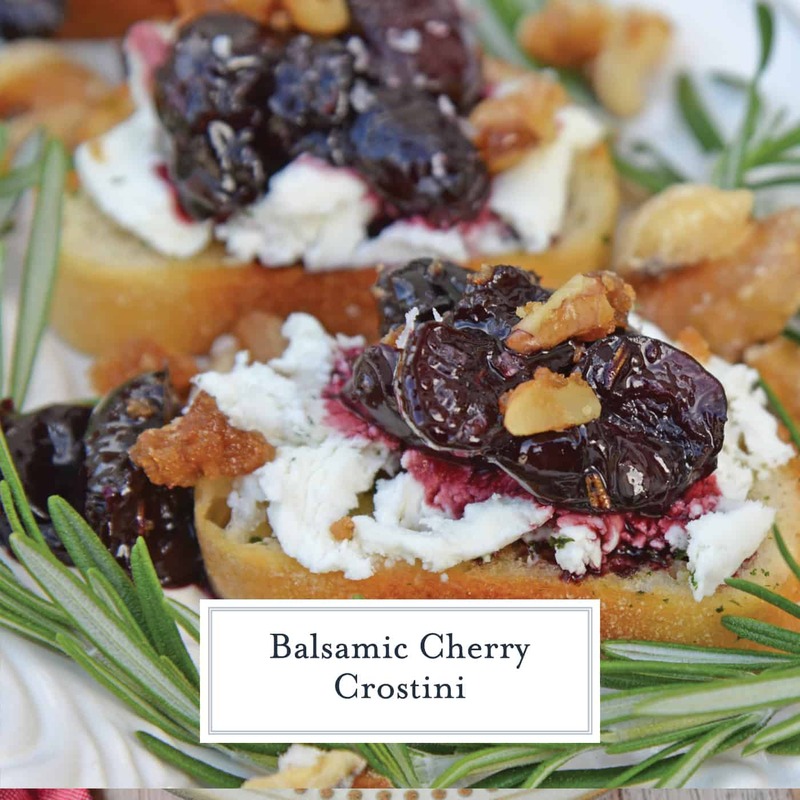 Balsamic Cherry Crostini are an easy appetizer perfect for entertaining! While cherries might be in season during the summer months, I like to use frozen cherries to create a festive red and green appetizer platter. 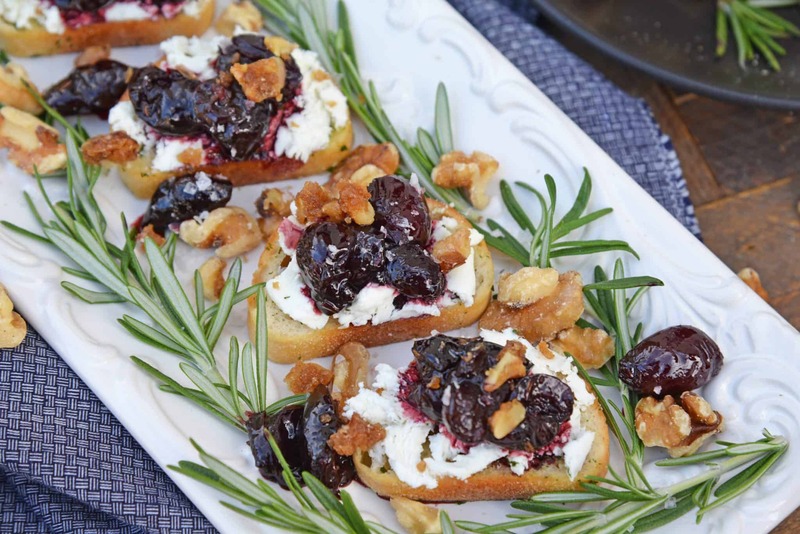 Balsamic Cherry Crostini are an easy appetizer using goat cheese and a tangy cherry balsamic reduction. 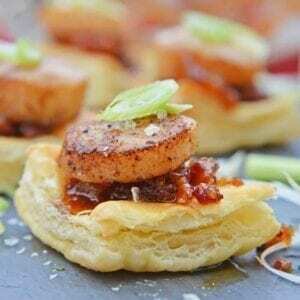 The perfect holiday appetizer recipe! Goat cheese is the other secret to making a tasty crostini. 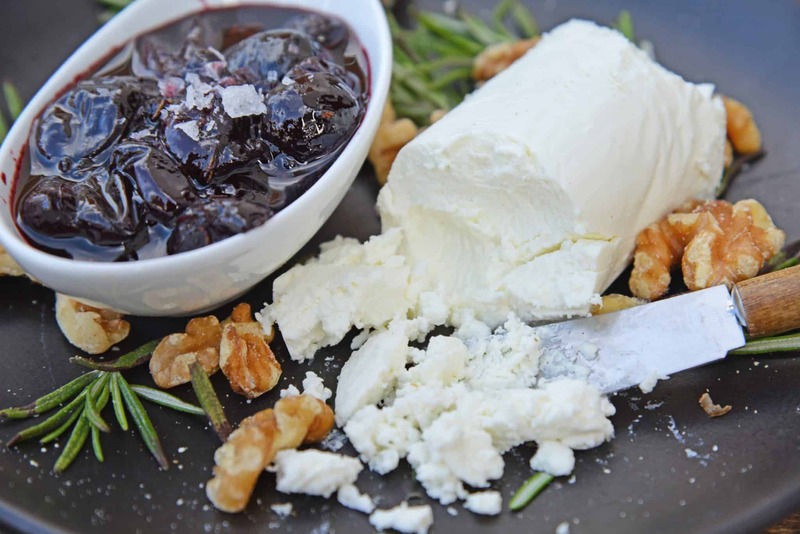 Goat cheese has a mild, but tangy flavor and is super soft, making it ideal for spreading. 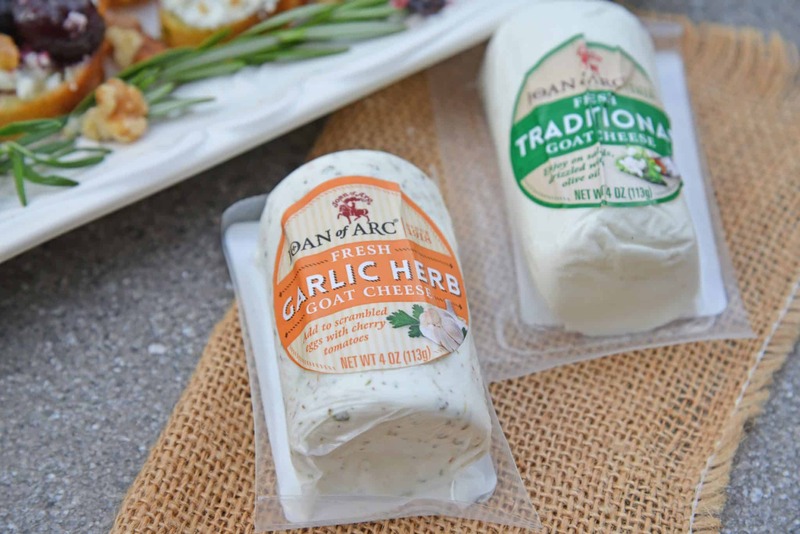 Not all goat cheeses are created equal and Joan of Arc® Goat Cheese is my go to for excellent and reliable flavor and quality. 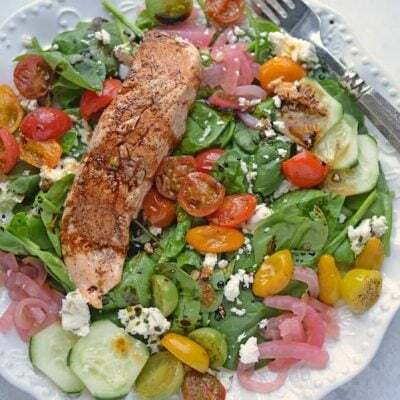 Joan of Arc® Goat Cheese is super verstile and can be used in so many ways beyond topping your favorite salad. 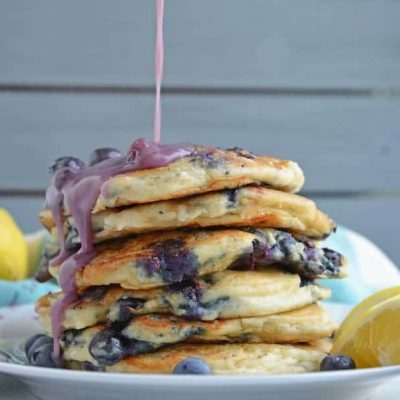 You can make fried goat cheese, spread it on your favorite bread for a snack, use it in desserts or tarts, mix it into quiches or omelets and even toss it in pasta. Just say CHEESE this holiday season! If you are anything like me, holiday entertaining is something I look forward to all year long. I stash away recipes and ideas hoping to make the holidays spectacular for all of my friends and family. And while I love being the hostess with the mostess, it can also be stressful. Even your hostess wants to be able to enjoy the festivities. 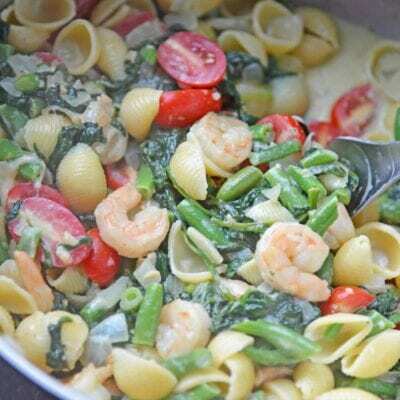 I strive to find make ahead and simple, but are still chock full of flavor and charm. 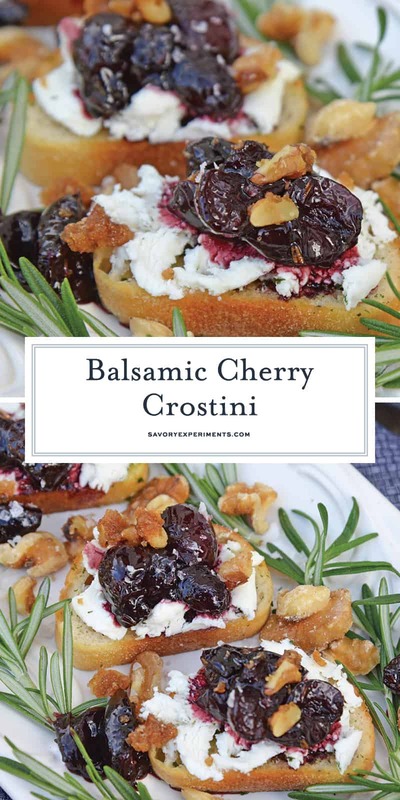 Balsamic Cherry Crostini fit the bill on all accounts! 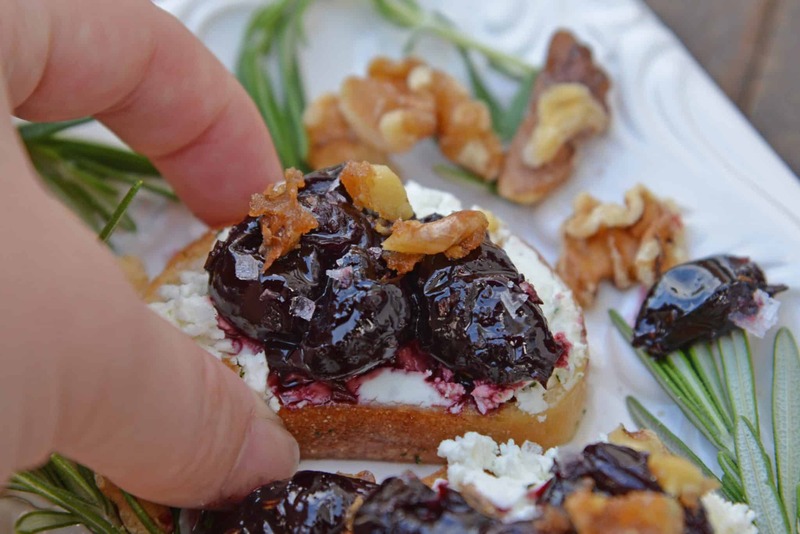 A simple balsamic reduction paired with tangy goat cheese, sweet cherries, fresh rosemary and candied walnuts make for a stunning holiday appetizer recipe. 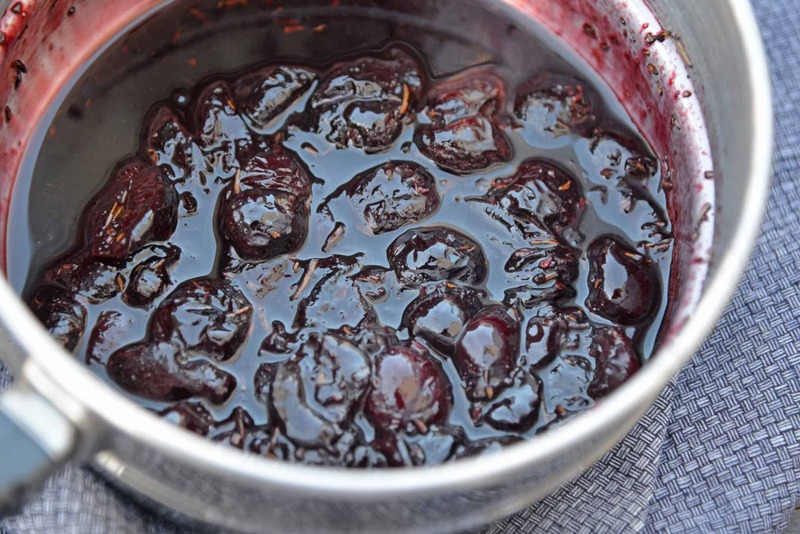 The cherry mixture can be made in advance and served at room temperture or warm. Leaving nothing by smearing crostini with goat cheese and garnish for the day-of preparation. I also like to create a festive and beautiful serving platter. 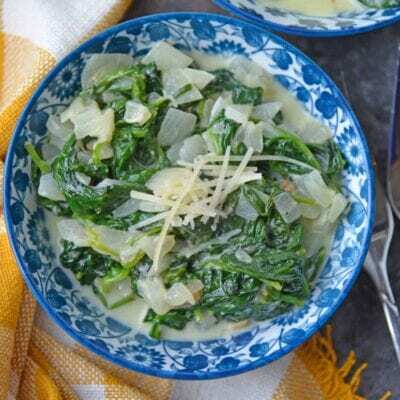 Easily do this by using the raw ingredients you worked with to create the holiday recipe. 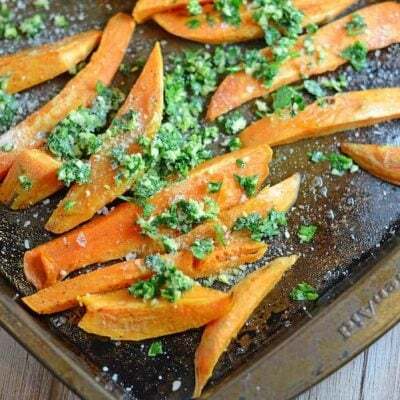 Fresh rosemary sprigs and raw walnuts are enough to take this dish from ho-hum to WOW! 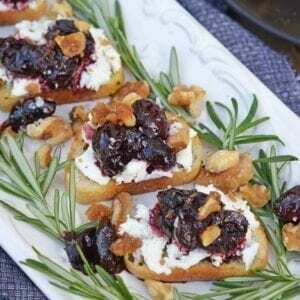 If you like our Cherry Crostini, check out these other easy recipes using goat cheese! 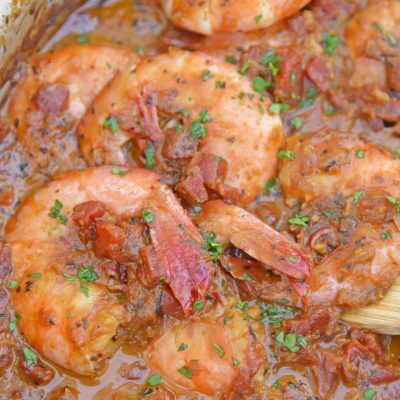 In a medium sauce pan over medium-high heat, combine cherries, balsamic vinegar, fresh rosemary and brown sugar. Stir until sugar has dissolved an cherries are soft. Evenly divide and spread goat cheese on crostini. 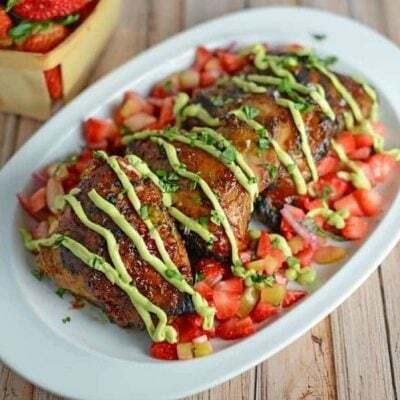 Top with warm or room temperture cherry sauce. Top cherry sauce with candied walnuts and garnish with fresh rosemary and Maldon sea salt. 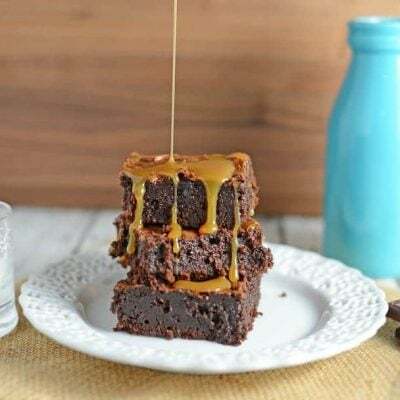 If you've tried this recipe, please come back and let us know how we did! 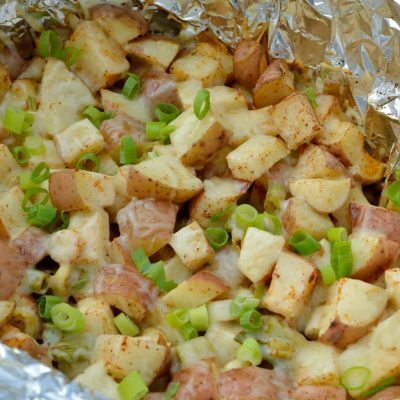 Looks like the perfect Thanksgiving appetizer! I love the flavor combination!! Cherries and goat cheese taste so good together. You had me at goat cheese, wow. 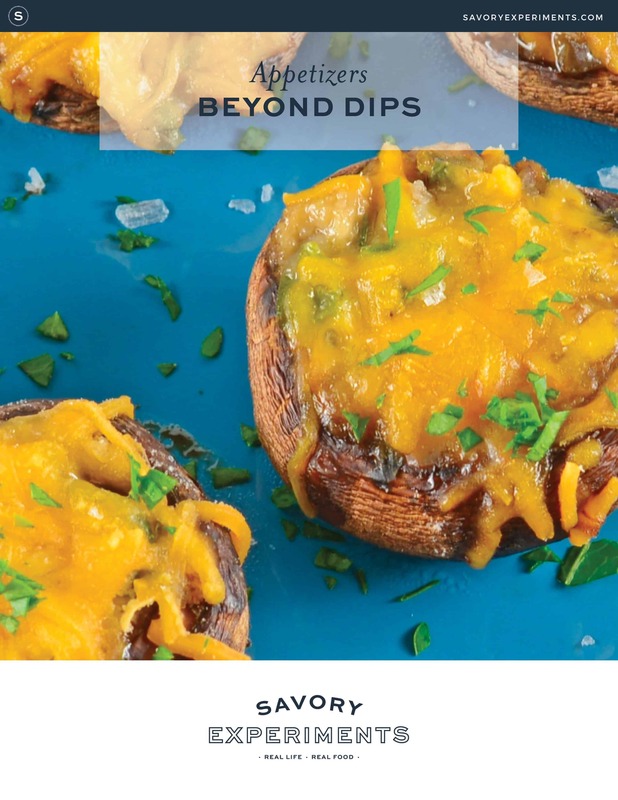 I’m making these for Thanksgiving! Thanks, Jessica!